The introduction of the Toyota Supra, particularly a base 197-horsepower variant in Japan has certainly put the “Toyobaru” twins back in the spotlight. Will Subaru and Toyota move forward with a next-generation 86 and BRZ? Or will their affordable coupe bit the dust after just one, albeit lengthy, model generation? In April of last year, the answer was a sort-of-yes, but then a reports coming out of Japan, from Japan’s Best Car said that the Toyobaru twins are done for, and that work on the cars’ successors have been canceled. However, the following day, Subaru did put out an official statement on the contrary. So while there’s a lack of information (or even spied shots of test mules running around), Kinno’s statement leaves no room for interpretation. 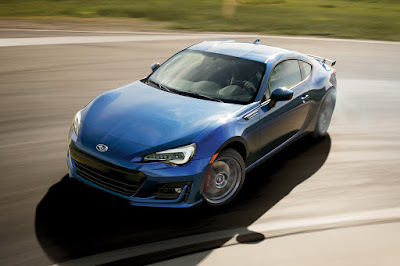 There’s definitely going to be a second-generation Subaru BRZ. That said, there’s no news on whether Subaru and Toyota will continue with their collaboration in making the sportscar twins, although Toyota did outline plans to create a “Three Brothers” Toyota sportscar portfolio with the Supra serving as their flagship. With that, they might actually increase the 86’s size and price and slot in the MR-2 below it.